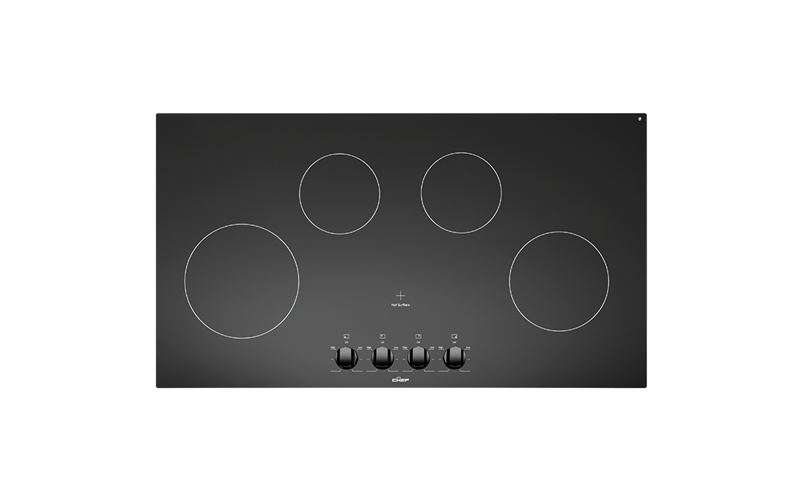 4 zone ceramic cooktop is rated 4.0 out of 5 by 2. Rated 5 out of 5 by sonyanne from a Clean Dream .... Just changed over from gas to electric and the Chef ceramic cooktop is just such a dream in comparison. Cooks beautifully and such an easy surface to clean, so much better than putting the old gas hobs back together, so glad I made the change. Rated 3 out of 5 by Jo87 from Not easy to remove even water overflow burnt in. I purchased this less than a month ago, and used a well known company that installs these.